Superfood of the week is Acai Berries! What is açaí, anyway? Found on açaí palm trees in South American rainforests, açaí berries are a lot like grapes. The seed takes up about 80% of the berry, but the flesh and skin pack plenty of vitamins and other nutrients in the remaining 20%. Not to mention the berries are only about 70 calories a cup. The acai berry was originally used in the Amazon jungle to treat a variety of ailments. Some tribes use this berry exclusively in their diet, and they live long, healthy lives. In short, the medicinal benefits of the acai berry are nothing new. It’s just taken a while for the American public to catch on to how potent this berry really is. The tribes of the Amazon discovered that taking the acai berry regularly helped improve their immune system. When eating the berry regularly, they got sick less often, felt more energetic, and fought off numerous medical conditions. They even used the berry to make wines for everyone to drink. The more they took the acai berry, the more benefits they realized the fruit could produce. 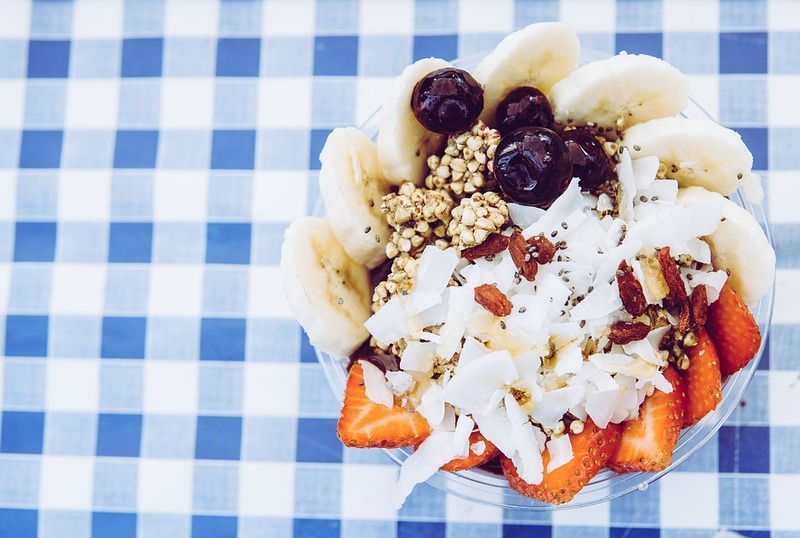 Where Does Acai Berry Grow? The acai berry is grown on large palm trees in the Amazon rainforest. In the past, members of the tribe would climb up the tree to fetch the berries. However, once everyone discovered the medicinal benefits of this berry, it became mass produced. The acai berry was then sent by boat to markets throughout the world. Weight loss – One of the most desirable benefits of Acai Berry supplements weight loss. With Acai Balance you can flush up to 25 pounds of waste and toxins. Because açaí berries can spoil within a day, the best ways to buy them are frozen (like smoothie packs) or in powdered form. This amazing berry comes in abundance as an additive in foods and beverages so it is easy to find if you have the fortitude to read labels!